Boxoft Flash Package Builder is a program to covert flash to EXE files, protect your Flash Projector file(.exe file) from EXE2SWF tools and swf decompiler tools. Help you to delivery your Flash movies and games in security. 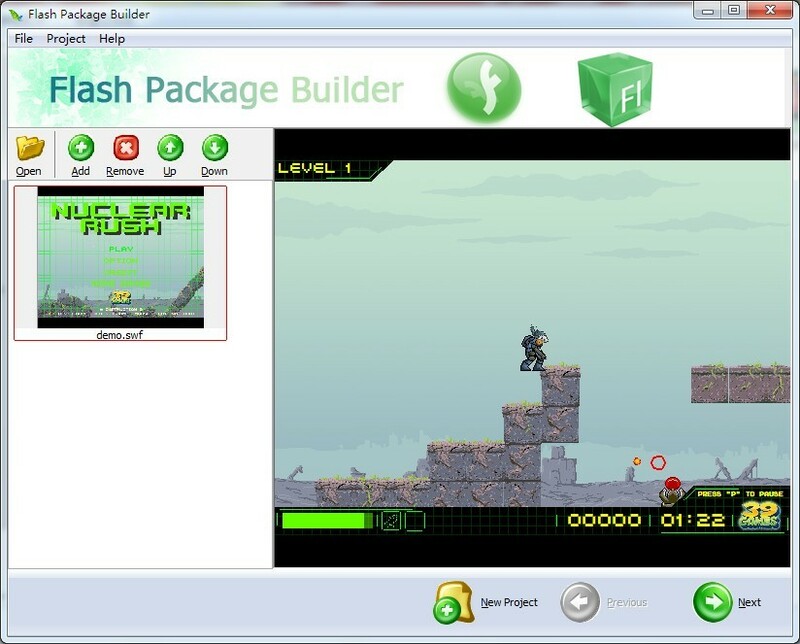 Boxoft Flash Package Builder is a fast desktop utility program that lets you create professional Windows executable file (.EXE) from flash (SWF) or flash video (FLV) formats. You can customize your flash executable files to playback your flash and flash videos in the best way, and protect them from being used. * Convert Flash to EXE in batches. * Enable set Home web page for EXE file. * Support customize EXE icons. * Support Player Info Setting such as Window sizeable, Show control bar. * Protect EXE applications for not Allow extracting flash movie. * Support Flash movie play in order. * Enable flash popup menu. * Support Player window Size setting as Auto, Fix Size or Full Screen. * Support Preview output effect before converting. * Enable Compress exe file with UPX with up to 60% compression ratio. * Save and restore executable file settings as projects.